today's card feels very much like summer to me and i really love how it turned out! 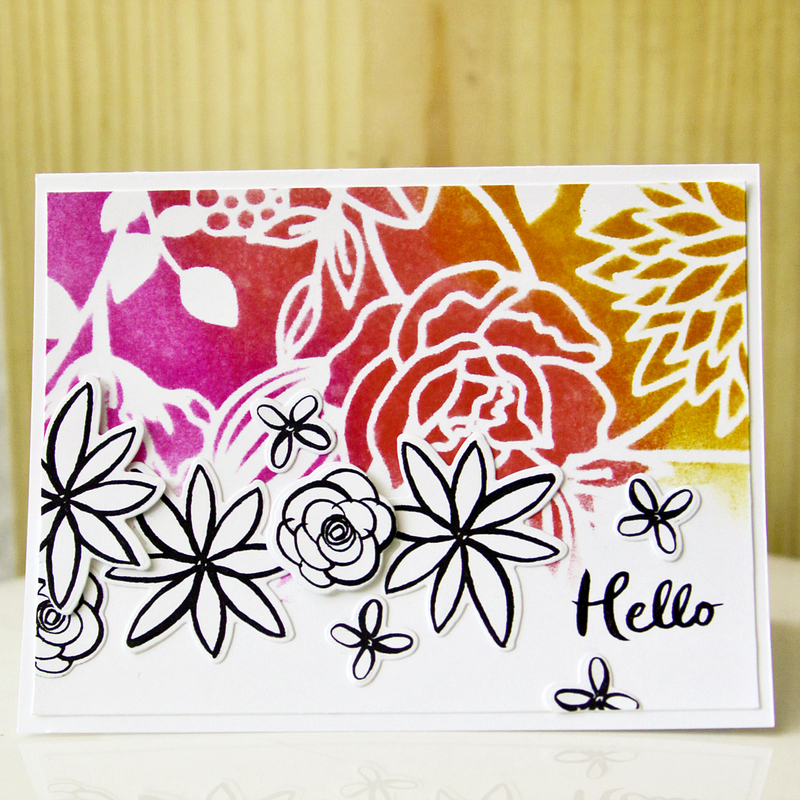 i used a floral stencil from dear lizzy and beloved distress inks, along with essentials by ellen of course! first i secured my serendipity stencil to my non-stick craft sheet and solar white paper with micro pore tape (washi tape or frog tape would work too). next i applied my distress inks with an ink blending tool, picked raspberry, abandoned coral and spiced marmalade. after creating my background, i stamped flowers from essentials by ellen bohemian garden and die cut with the coordinating dies. i trimmed my background to fit a standard A2 card and adhered my die cut flowers, some with foam adhesive for a 3D pop. 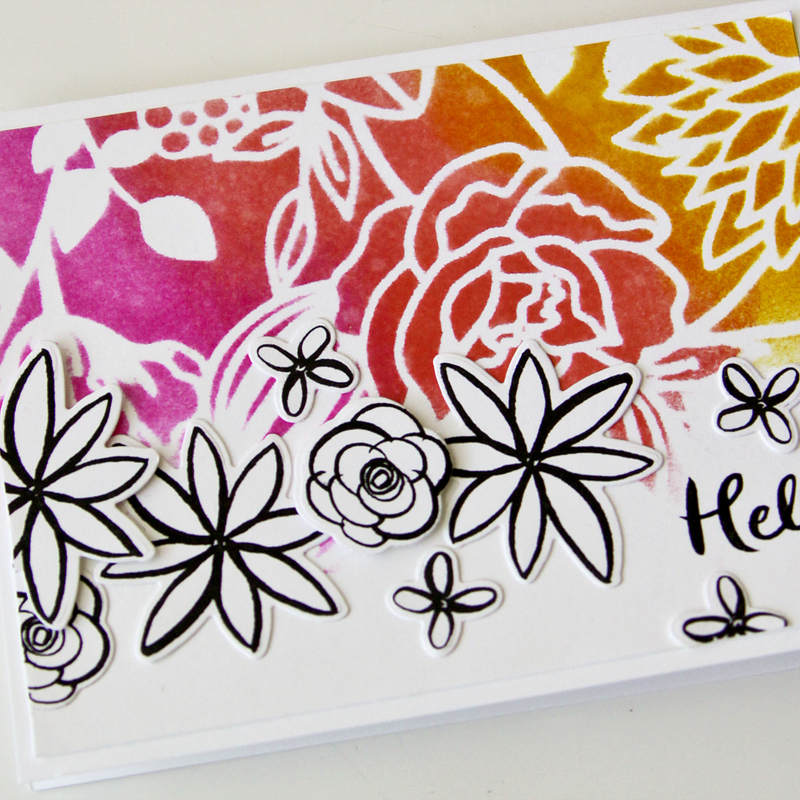 finally i added a "hello" sentiment from the essentials by ellen hello gorgeous set.